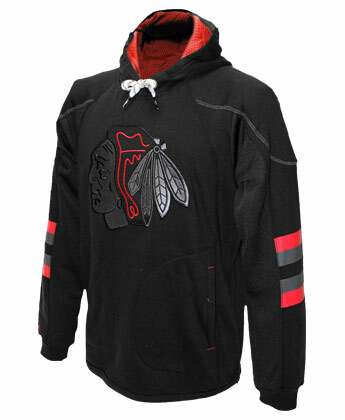 #NHLAFBTOJHCHI 60% Cotton / 40% Polyester. Two tone emboridered logo on front. Perf lining on inside hood.